Tomorrow’s Engineers EEP Robotics Challenge: Lego Mindstorms Kits! Schools across the country are invited to take on a robotics challenge that will see student teams involved in ‘space missions’. 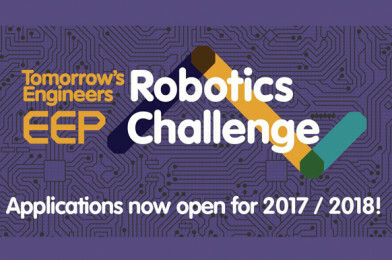 Teamwork, robots, design, research, fun and loads of LEGO® are all part of the mix, as are real-world challenges, teacher support and some great prizes! Are you ready to take your students on a journey of exploration? The journey starts in school. The challenge events are the culmination of a ten-week extra-curricular or in-school programme where students learn how to design and control their robots to complete the aviation challenges. It’s all with the help of Tomorrow’s Engineers structured activity plans and learning software – they also provide training and equipment! The challenge could take your team all the way from regional heats to the national final!